Editor’s Note: The one thing I know for certain is that the only people who don’t miss turkeys are the people who don’t hunt them. Regardless of how well you shoot, how close you let the turkeys get, what type of gun and ammunition you use and how many years you’ve been hunting, you’re still going to miss turkeys. Turkeys have an uncanny ability to dodge shots. I don’t know how they do it; they just do. This week we’re looking at reasons why I’ve missed turkeys. Most hunters probably won’t tell on themselves. However, I know that the turkey hunters who read this article will appreciate my honesty and perhaps learn from my mistakes. I never will forget my first hunt with David Hale, co-founder of the Knight & Hale Game Call Company (www.knightandhale.com) in Cadiz, Kentucky. We were hunting in some cutover land near his home, and Hale had found a gobbler on the edge of a clearcut. As he seduced the gobbler with his calling, the bird began to walk straight to us. The turkey was in the open, and I could see him coming from a long way. 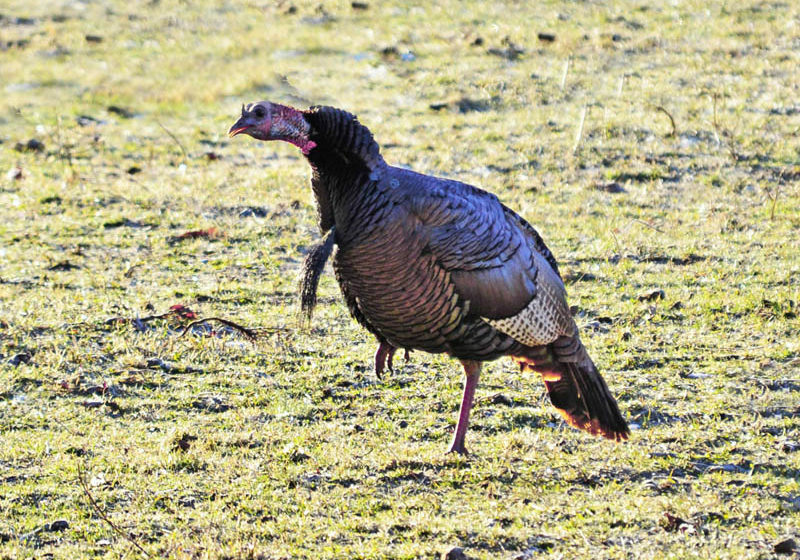 When the bird was less than 30 yards away, Hale whispered, “Take the shot, Bubba.” As I raised my gun, the gobbler spotted me and danced to his left and to his right. When I fired, the bird took to the air. “I can’t believe you missed that turkey,” Hale told me. “Well, he was moving,” I explained. I kept groping for excuses, but none would come to me. When a turkey decides to leave because it sees you, the chances of making a successful shot are extremely low. 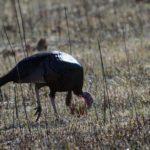 At the end of turkey-hunting season, the heavily-hunted gobblers always are the toughest birds of all to take. My friend Bo Pitman and I were hunting a tom named the “Man-Eater.” “The reason he got this name,” Pitman explained, “is because he’s gobbled up every hunter who’s tried to take him and whipped them all.” Pitman and I had been hunting the Man-Eater for three days from before daylight until dark, only taking an hour off in the middle of the day to eat. Finally, on the last day of the hunt, we had the Man-Eater coming right to us. But by the time the Man-Eater stepped out into a clearing 35 yards away, I’d been holding my black-powder shotgun for about 15 minutes. My arms were tired, my muscles ached, and the sight on the gun was dancing like a ballerina, jumping, twisting and turning across the stage to a fast tempo. “You’d better take the shot,” Pitman warned. 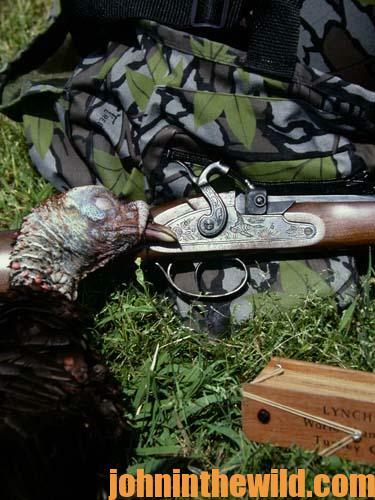 “He’s leaving.” When I saw the bead of the gun on the turkey’s wattles, I squeezed the trigger – and missed terribly. But the reason I missed was twofold. I’d been holding the gun up too long to shoot accurately, and I’d attempted to shoot a moving gobbler. Instead of swinging the gun barrel with the bird as he moved, I shot behind the bird, just like a duck hunter who didn’t continue to follow through on a flying mallard after he pulled the trigger. 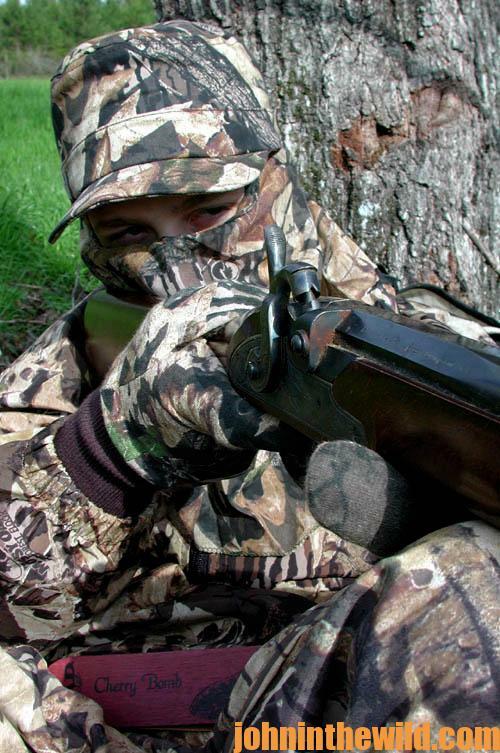 Sometimes a miss occurs without the hunter even squeezing the trigger. On one occasion, four gobblers were screaming and coming to me. I had a clearing in front of me that I was sure the gobblers were going to step into, and then all I had to do was squeeze the trigger. All four long bearded gobblers came toward me as if I’d had their heads tied to a string and was reeling them in with my seductive calling. They even stopped perfectly at 20 yards. The only problem was that all four birds were directly in front of me, and I could see all four heads in my scope. I knew that if I squeezed the trigger I’d take at least two birds – if not all four. (And you can bag only one bird per day in Alabama where I was hunting.) I had to hold my shot and wait on the gobblers to separate. But longbeards didn’t survive by hanging around a place where they’d heard but not seen a hen. So, after what seemed an eternity, all four gobblers left the area. I missed an opportunity to bag a turkey, even though I never squeezed the trigger. This type of miss was a good miss, however. I won because I had the unbelievable chance to bag four birds. The gobblers won because they lived to gobble another day. Each spring I go to the woods to hunt turkeys as religiously as a preacher returns to the pulpit every Sunday morning to preach. 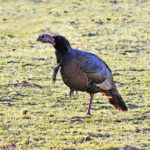 Each year I take a number of gobblers – usually in several states. Although I’m never happy about the misses I make, I know they will happen. 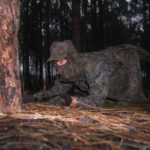 If you’re what I call a, “hard-ankle turkey hunter,” you probably remember the misses you’ve made much more clearly and distinctly than you do the gobblers you’ve taken. And, the purpose of sharing the stories of how I’ve missed is not only to instruct and entertain but also to vindicate all turkey hunters who have missed. 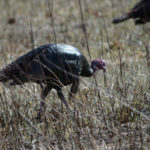 I’ve hunted turkeys for more than 40 years, written several books on the subject of turkey hunting and hunted with the best turkey hunters in the nation. 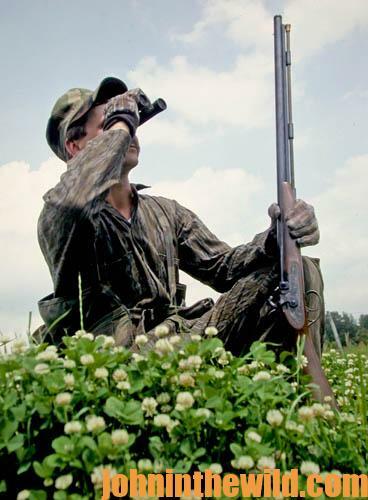 I know all the reasons why hunters miss, and all the excuses that hunters give for their misses. And, over the years I’ve felt the pain and the shame that comes with missing. But I’ve discovered that the best thing to do when you miss is to realize that it happens to all of us who hunt the elusive wild turkey. 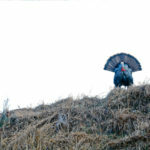 To learn more about turkey hunting, check out John E. Phillips’ print, Audible and Kindle turkey books at http://johninthewild.com/books/#turkey. 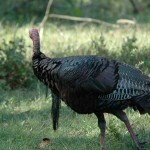 For a free copy of John E. Phillips’ “The Turkey Gobbler Getter Manual,” go to http://johninthewild.com/free-books/.